Honolulu Hale, the site of the Hawaii Book and Music Festival. In historic downtown Honolulu, there are always a multitude of events, restaurants, markets and activities for visitors to enjoy. But during the final week of April there is a festival featuring song and storytelling. During May, the annual Hawaii Book and Music Festival takes place on Honolulu Hale’s Civic Grounds. Here, you can celebrate Hawaii’s traditions of making music and passing down stories. The festival begins at 10 am on Saturday and Sunday and ends roughly around 5 pm. In previous festivals, many events occurred simultaneously in 8 different event areas. 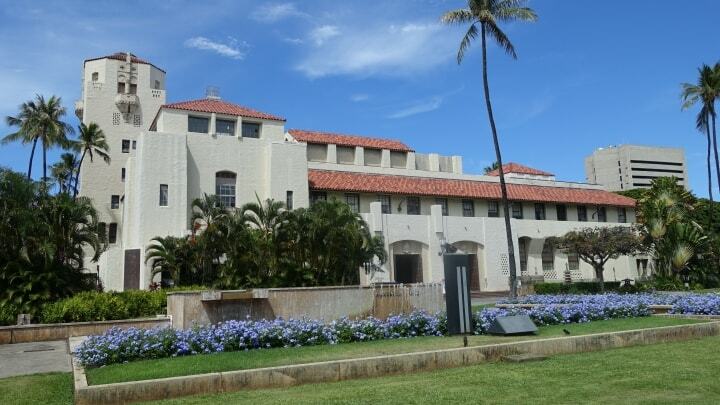 There were events at the Mission Memorial Auditorium and the Alana Hawaiian Culture Pavilion. Kids could also view stage performances just for them. Furthermore, people enjoyed music and performances by Hawaii Theatre Center Young Actors Ensemble and the Folger’s Society. There were also poetry readings, storytelling, workshops on health, astronomy, archeology and much more. Throughout the festival, there were official book exchange, author signings, meet and greets with local booksellers and publishers. In the “Keiki Fun Zone” kids listened to music, play games, did interactive readings and went on rides. 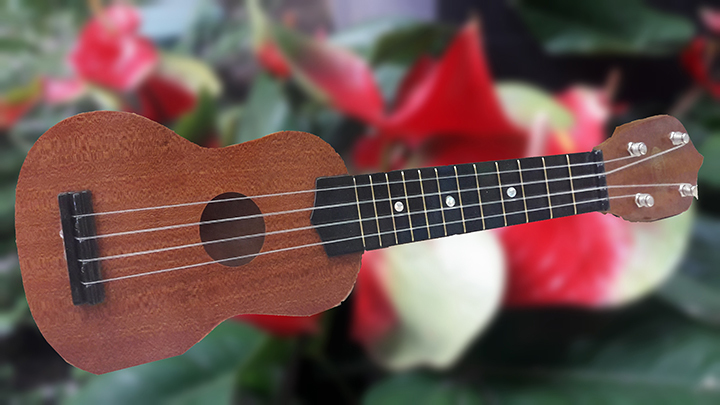 On the final day, people celebrated May Day by bringing their ukuleles and joining in communal song. The food court at the festival sold snacks, lemonade, gelato, coffee and burgers. Expect future events to offer the same type of fun and interesting experiences. Photo courtesy of John Cheung. There’s no better way to gain insight into Hawaiian culture than through its literature and music. In previous festivals, authors came from every island. They shared their stories, family history, cultural experiences and valuable perspectives. Past artists included the Royal Hawaiian Band, kumu hula Michael Pili Pang as well as Kenneth Makuakane and Barry Flanagan. Their joint recording was the #1 album for a duo or group in the history of Hawaiian music. Future festivals will continue to offer learning opportunities on Hawaiian music, literature and culture.